Part of the show Do you burn more calories when thinking? Toni - Well what the government want to do, they want to introduce a levy onto soft drinks. So what they want to do is introduce this levy for about 2018 and it's to do with the amount of sugar per litre or per 100mls that in soft drinks. So they want to tax the industry which means that there'll be; I think it's around 5 grams per 100msl at a lower level and I think 8 grams per 100mls at a higher level. It's sort of in that region. Now this is the idea that they want to try and tackle our consumption of soft drinks because we've got a lot of evidence to show now that actually, sugar-rich drinks, not only are bad for your teeth and dental health but, actually, what they tend to is they undermine your appetite control. So the liquid calories that you have in soft drinks don't seem to register very well that you've consumed them and if you consume excess calories in liquid calories, you consume more calories you gain weight. Chris - We did a demo on this programme actually, where Giles Yeo who works on how the brain decodes how much energy you're taking into your body, gave me a bunch of apples and said you're going to eat the number of calories that had gone into what I'm going to drink and we're going to see who gets there first. He drank the equivalent of the apples as juice and I had to eat them. He finished off half a pint of apple juice and that was the equivalent of six apples and I'd managed two apples in the time it took us to do that. I mean that's the point he's making, it's very easy to put a lot of calories in very quickly. Toni - It's really easy to consume excess calories in that liquid form so looking at our concern around obesity and overweight, this is one of the ways that we want to try and create an environment that perhaps makes soft drinks less desirable. Chris - Haven't people always eaten sugar Toni? This isn't a new thing. We've had people eating honey and so on for thousands of years. Toni - We have but I think it's much more prevalent. If you look at the number of processed foods we have; it you look at the availability of soft drinks, sugar rich drinks, we've got them readily available in supermarkets open 24 hours a day, 7 days a week. It's really easy to get those kind of high sugar type food and drinks. In terms of the sugar tax, it's actually really difficult to know when they roll it out what the impact will be. One of the things that might happen is that manufacturers may be encouraged to reformulate their soft drinks which would then get them down to a lower tax levy. 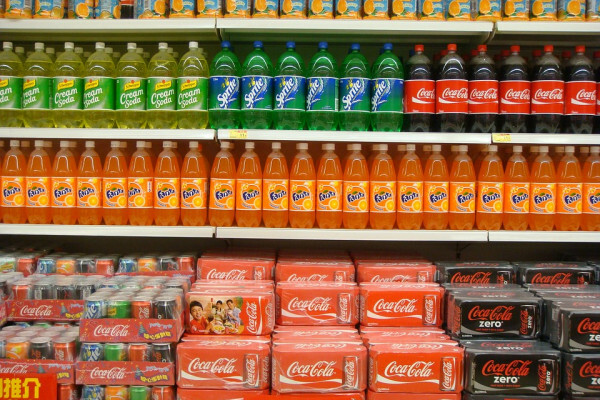 Chris - One politician said all it will do is encourage some people to switch to the cheaper, nastier brands that are cheaper to start with but with just as much sugar but, even with the levy on, they become the price of the more expensive brand they prefered before. Toni - It's really difficult to know how it's going to roll out because the other way is that actually what might happen is that the industry may absorb that tax increase and what you'll see is that there may even be an increase on all drinks across that product range. Chris - They'll say we know it bad but we're just going to make you live with it because you like it. Toni - If all the soft drink prices go up that may result in some people perhaps not choosing them..
Chris - What about if we look at other things. Because we've had the salt lobby - have tried to get down the amount of salt in food. We've also had fairly punitive taxes in some countries applied to things like cigarettes and alcohol. Is there any evidence these sorts of carrot and stick maneuvers work? Toni - I think there was some evidence. I know that they cite stories a lot from Mexico where they introduced this sugar tax, and I think that there was some evidence that in some groups of the population, you did get people not buying them and perhaps choosing the diet versions and I think for it to work, what the public need to see is a really clear price differentiation between the high sugar drinks and the no sugar drinks and once you see that it begins to make the choice a lot more obvious. So how this will roll out in reality we don't really know but I think once of the important things is good surveillance so that we can monitor what the kind of consumption patterns are over the next few years and that's one of the things that we do in our unit actually, we do one of the nutrition surveys. So it's difficult to know but what we have to remember is that this is just one part of tackling the obesity epidemic. It's not the solution but if we have a whole range of things, eventually it helps create that better environment that helps encourage people to make better choices because it's really difficult for individuals. We're living in an environment that makes it so easy to choose and consume these foods. Chris - It sadly does. Chris? Chris Basu - This might open a can of worms. Are diet drinks any more safe than normal sugary drinks? Next Is freeze-dried blood the future?